My name is Anthony Tesija. I'm a software engineer, game designer, and developer. I got started as a kid by drawing levels for my favorite games using paper and pencil. This quickly moved into making levels with games like Starcraft and Left 4 Dead. Luckily those games didn't just have map editors, they had a simplified way to write scripts with endless possibilities. My creativity and love of games pushed me into taking programming courses in college. After learning how to program in 2010 I jumped into game development and haven't stopped since. For more information about me or my company check out my press kit, resume, Twitter, or Github account (most of my work is private in BitBucket). GourMelee is a 2-8 player local multiplayer party game where people share controllers with their teammates to battle in food related minigames. It is currently in development with a release date in 2018 targeting PC and consoles. For up to date information on the game follow me on Twitter! Smack! Watch out for the swatter while you mate with your friends to keep your fly family alive. Down to Fly is a one vs. six game about mating and the circle of life. 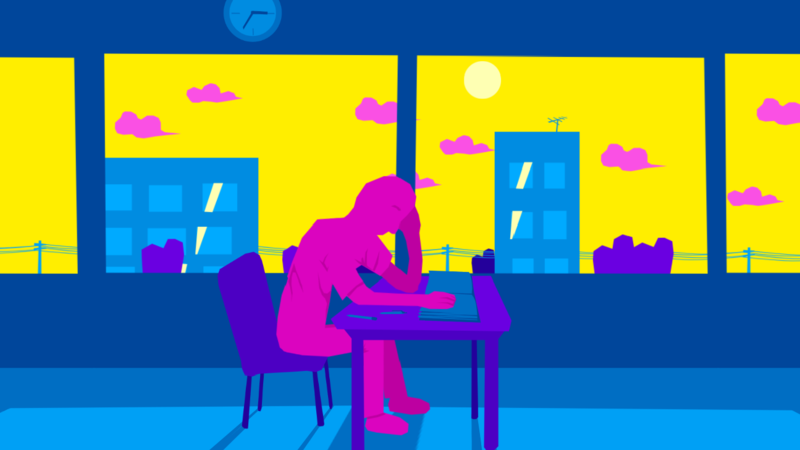 Reflection is a game about a point in my life where I made a lot of big changes and what I did to cope with them. I started journaling to handle my anxiety and help clear my head. It's something that I still do daily and helps me manage my thoughts. This game was made in 6 hours for Meditations. 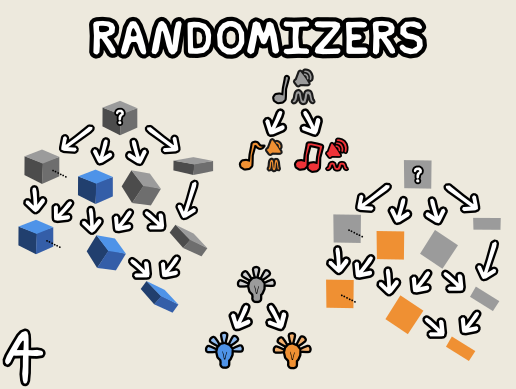 Randomizers is a set of scripts to easily add variation to your games! Just drag and drop them on your game objects, no programming necessary. Works for 2D and 3D games. I was making business cards for GDC and they were plain and boring. I decided to try to figure out a way to turn them into a game. 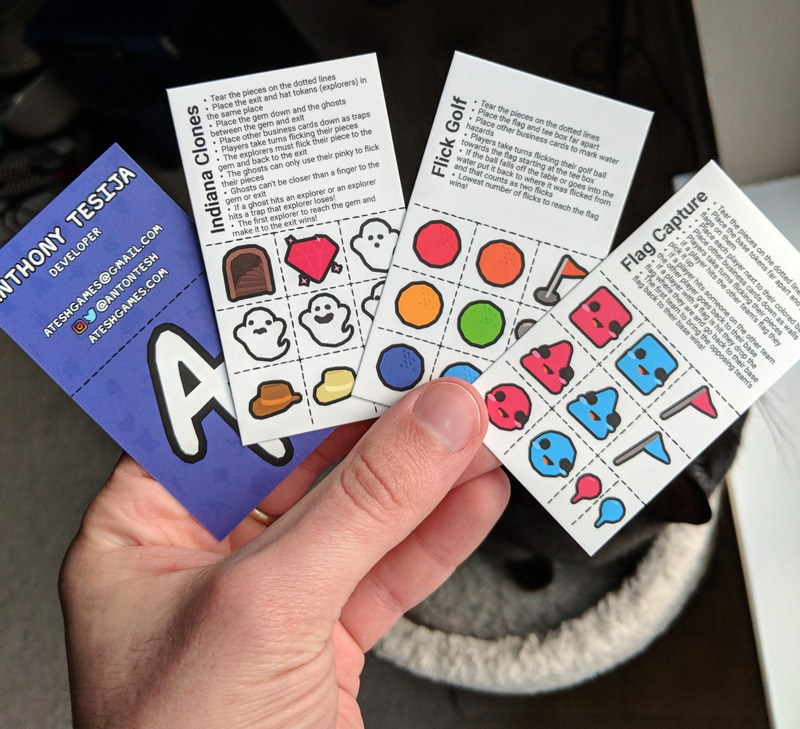 My constraints were: The game pieces and rules had to fit on the card, they had to be multiplayer, and they had to involve other business cards somehow. These games are played by tearing the pieces off of my business card and flicking them around. Find me in real life and I'll give you one! GourMelee is a 2-8 player local multiplayer party game where people share a controller to play minigames. The controls are simple, the left analog stick controls your left hand movement, left trigger grabs food, and left bumper chews. The same works for the right hand using the right analog stick, trigger, and bumper. This is one minigame from my upcoming game GourMelee! 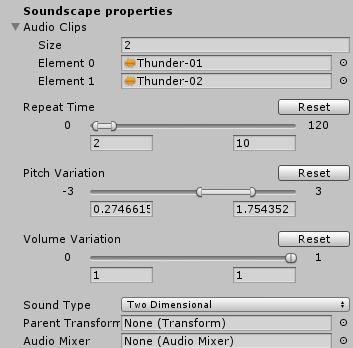 Soundscape Generator lets you create fully customizable soundscapes from your audio clips. Have a rain forest that needs bird calls, rain, and far off roars? How about a city with cars, construction, and people? Using sounds you have you can immerse your player in any environment you can dream up. 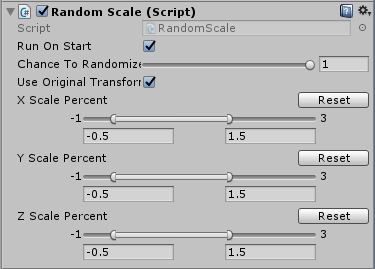 The soundscape generator creates multiple audio sources that each can randomly play from a list of audio clips,	repeat from that list of clips in an interval you specify, randomize audio clip pitch, randomize volume, and can be parented to different objects (in case you want your sounds attached to something). The script is easy to use and requires no coding at all! 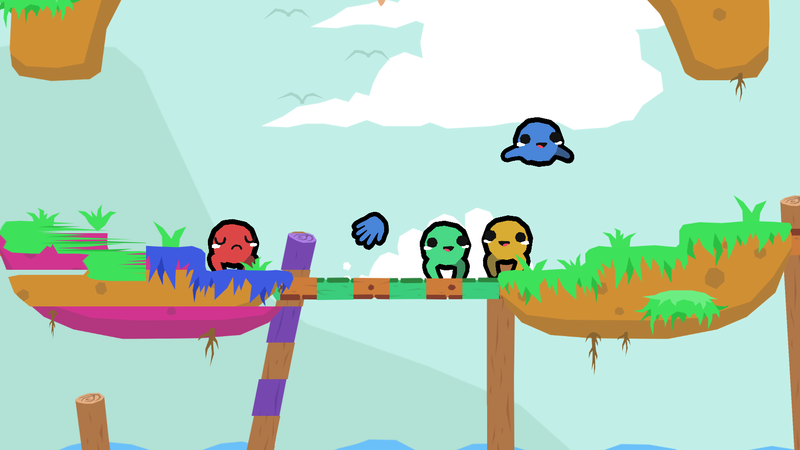 Glitch Slap is a 2D, platform based, multiplayer, party game that will have co-op and vs. modes. 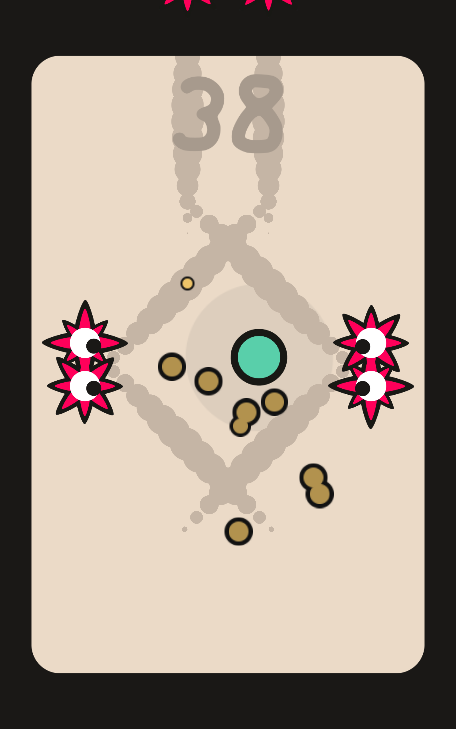 The game features arenas with different objectives where players slap objects, enemies, and each other to win. Vs. mode has arenas where players compete against each other along with game mutations like a virus that you pass between players by slapping each other and player location swapping. The co-op mode has arenas like boss battles and fighting enemy waves along with persistent power-ups that carry between the arenas. This game was made for Wolverine Soft's 48 hour game competition and won 1st place out of 10 entries. The theme was "3 lives, 2 buttons, 1 moment". Wolverine Soft is University of Michigan's game development club. 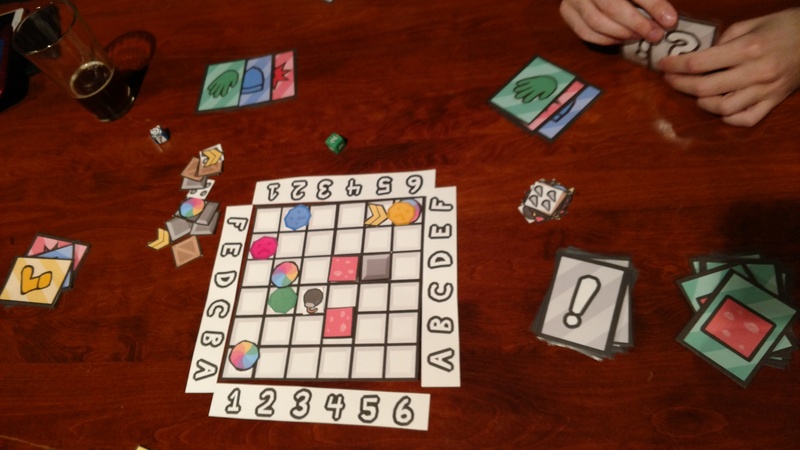 "Boardgame" is a programming style game where you choose three moves hidden from your opponents and then reveal them in order. 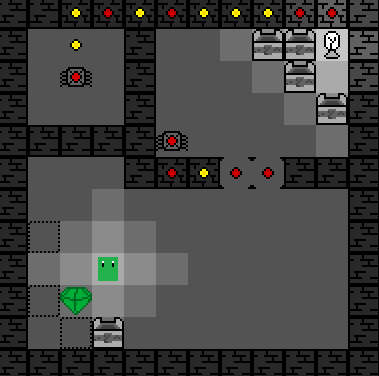 Players have the option to move one space, attack one space next to them, defend from attacks, and push a player one space away from them. 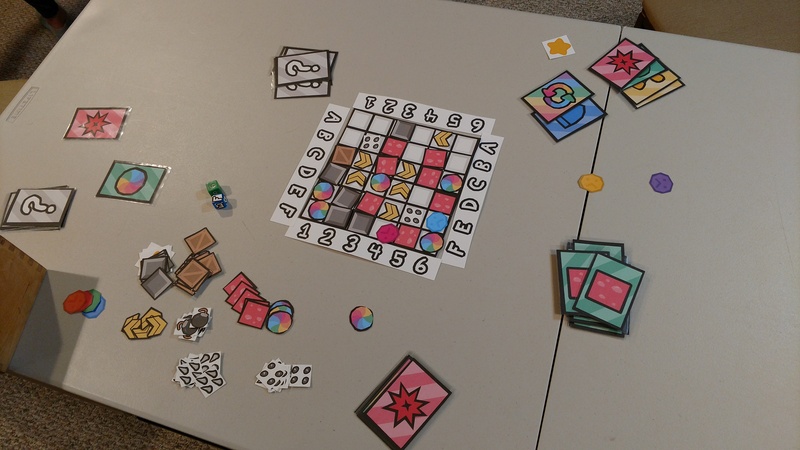 The game is played on a six by six grid and placement of players and items is done using two dice to index into the board. Between rounds items will be randomly placed on the board, and then each dead player can place an item on the board. 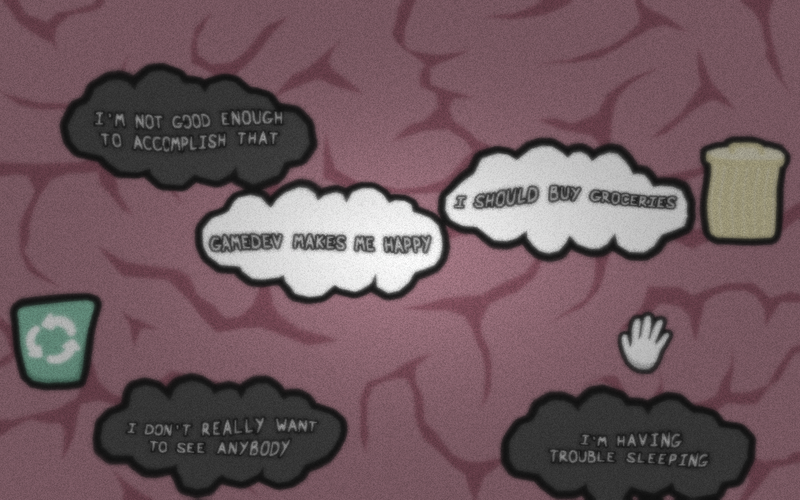 Depersonalize Me is a game about anxiety and depersonalization. I tried to capture how anxiety can take over my mind and how it's hard, but not impossible, to recover when it happens. 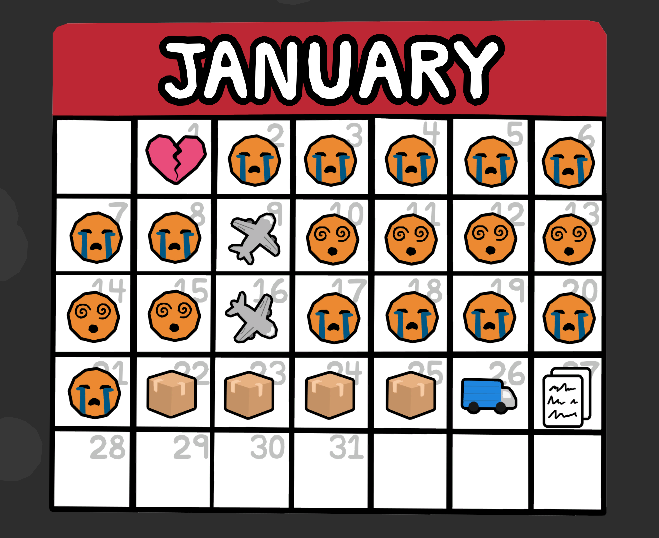 Made for YouJam where the theme was to make a game about "you, your personal life experiences or anything to do with yourself". 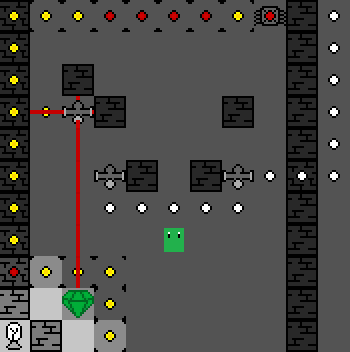 Made in one hour for One Hour Game Jam with a theme of "Two Buttons". Press left or right to do hoppy things. Its power comes from the options you have to customize each transition. Transitions are made out of two basic parts: the transition block and the transition order. The transition block has an animation that tells it how to animate itself once it's placed and the transition order decides how to place the transition blocks over a time period you specify. 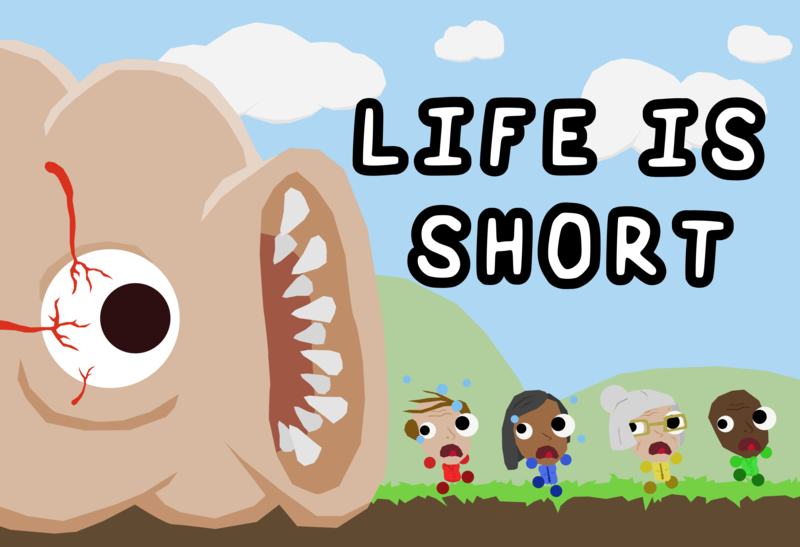 Life is Short is a four player battle platformer where you strive to be the last player alive. A giant worm is destroying the world and you and your friends have to escape it! 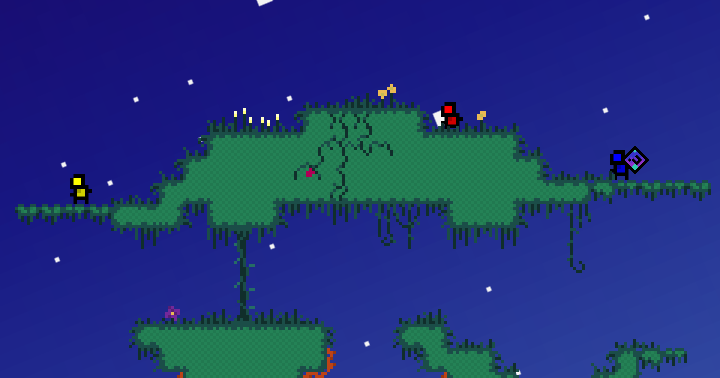 Along the way you can pick up and throw items to stun players or collect the powerups inside them. The powerups increase your stun duration, throw distance, jump height, and run speed. Use them to your advantage to take out your friends and be the last one alive! 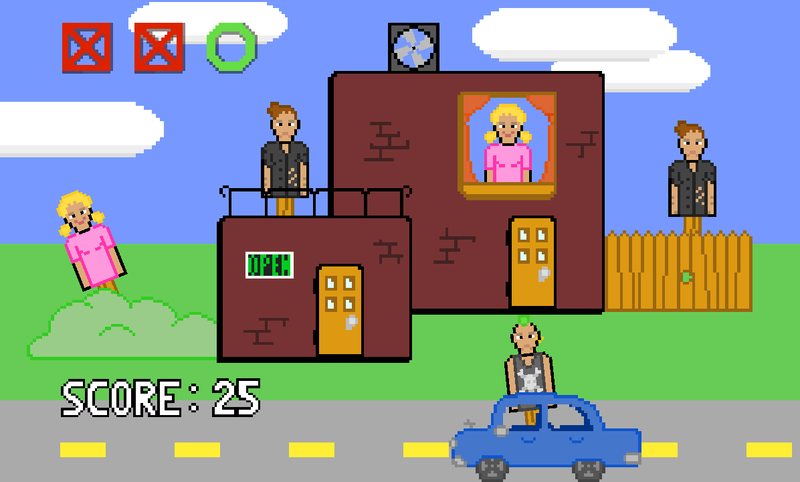 This version of the game was made for the Capital City Film Festival Fortnight Game Jam 2016 which is a state wide game development competition in Michigan. It received second place and won crowd favorite. Watch the trailer to see what it's all about! EYEConic is a clean and minimal looking bullet-hell style game for mobile phones. 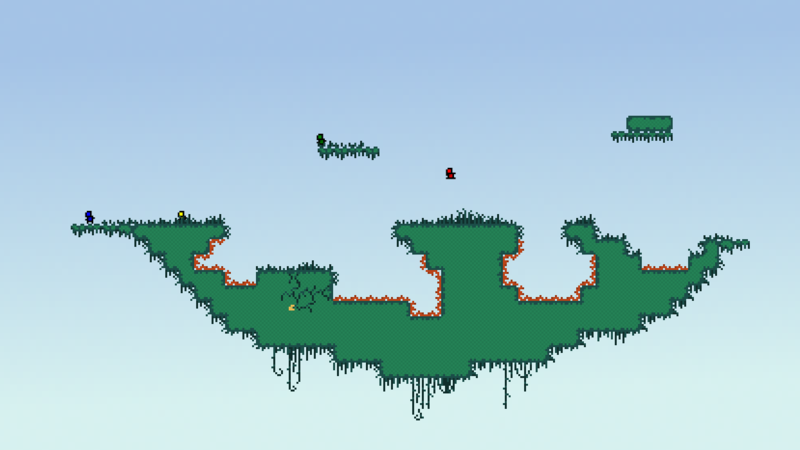 You drag a character around to keep it away from endless waves of enemies that get faster as time goes on. Each enemy has a unique movement pattern that can be learned and avoided. While dodging enemies you collect orbs to increase your score. When you die your score is saved to an online leaderboard where you can see how you rank globally or against your friends. That chef's fixin to prep ya, get out the way! Watch out for his knives or you'll get cut! This is why you should eat your veggies. 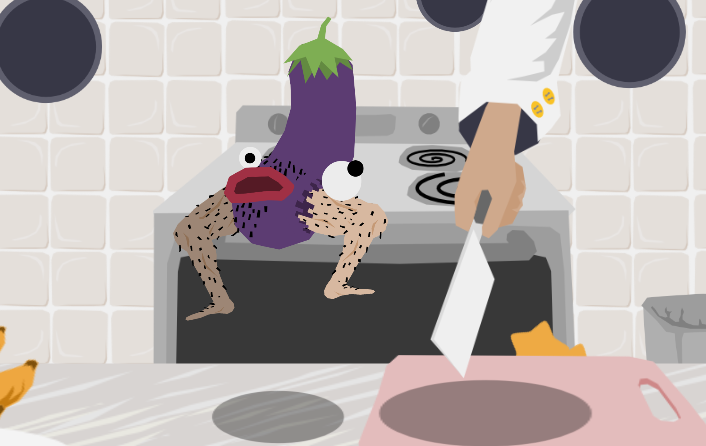 Featuring leaderboards and achievements, Eggplant Panic! 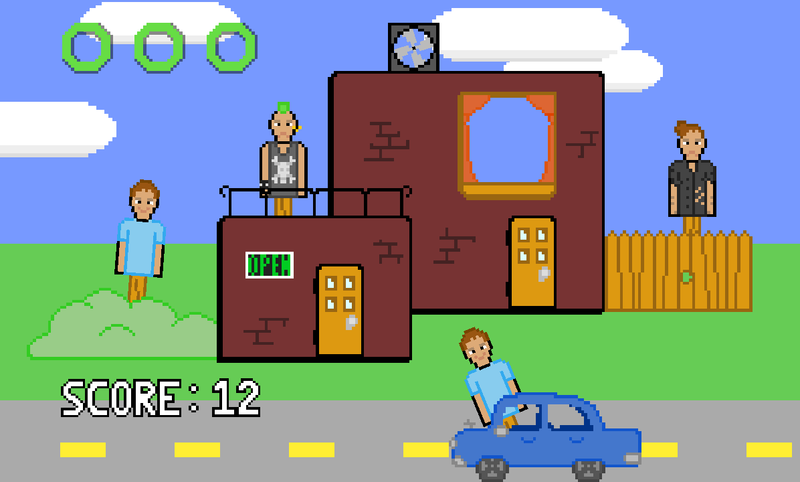 is a mobile arcade game that will test your skill and patience. You play as an eggplant that runs around a counter top, dodging the chef's knife. One hit and you're in the next stew so watch out! This game was made entirely by me in less than a week and was mainly a test to see how far I've come as a designer and developer. 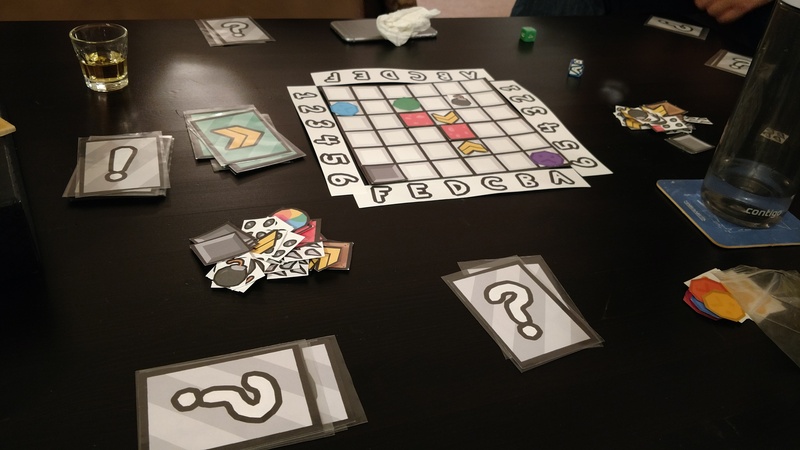 A fast paced, local, four player free for all where the losers evolve between rounds. 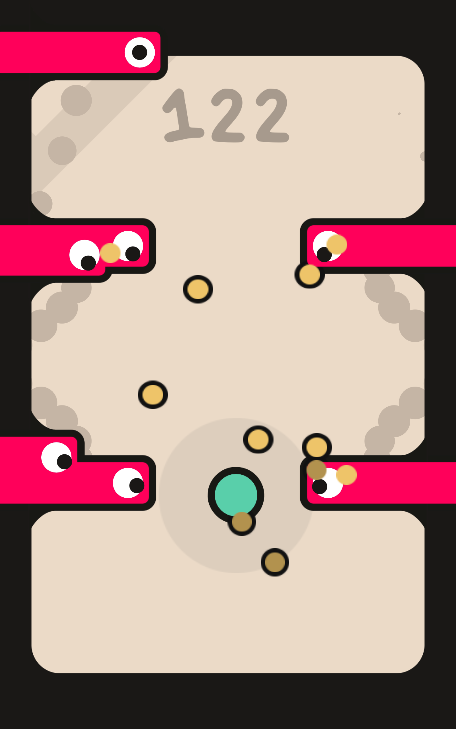 Players have the basic ability to shoot and dash attack to kill each other. After each round the losers evolution is chosen based on how they battled, died, and many other factors just like natural selection would work (On a much faster time scale). Evolutions like exploding bullets, bouncing bullets, armor, spiky body, longer dash attack, and many others make up to eighteen possible evolutions that produce thousands of combinations. Will you be the one that will carry on the species? Natural Perfection was made with a team for a local two week long game jam with the theme of "Evolution". Lost in Thought is about dreaming, loving, and losing. The idea I was trying to convey was when you dream and come up with something special that has meaning to you. After waking up you remember it fondly for a short time and then those memories fade away. Losing those memories is the permanent death of whatever feelings or ideas came from them. This is the first game I've made that was built around a story. Lost in Thought was made for both ColorJam0 and PermaDeathJam. Visit the website JettisonGame.com for more information! 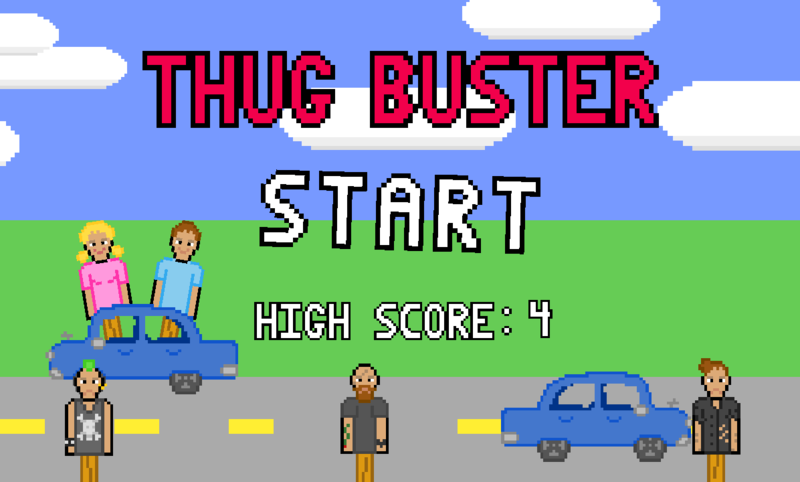 Thug Buster is an homage to Hogan's Alley on the NES. Thugs and hostages pop up and you must tap all the thugs to eliminate them. Waiting too long or tapping a hostage will damage you and you have three attempts to get a high score. 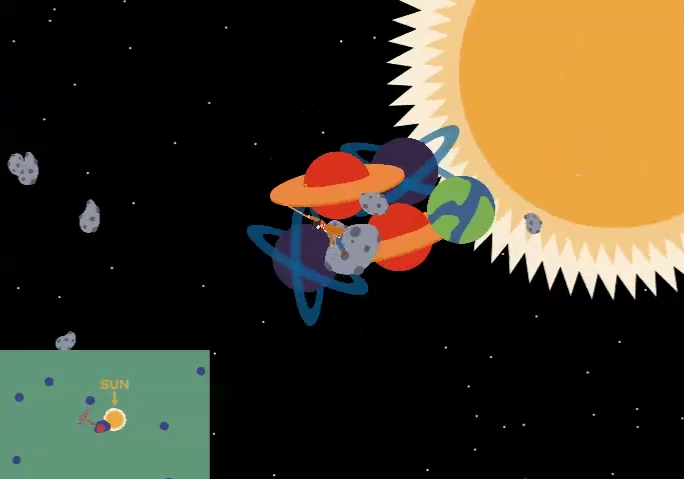 In Galactic Planet Wrangler your task is to round up as many planets as possible before crashing into the sun. Your controls consist of riding your asteroid as you barrel towards your impending doom or yelling YEEHAW! because you feel like it. 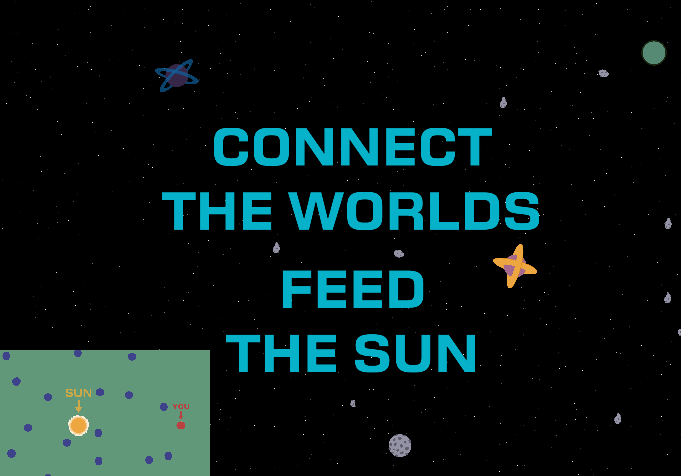 Use your amazing abilities to collect as many planets and asteroids as you can before sacrificing them to the sun. 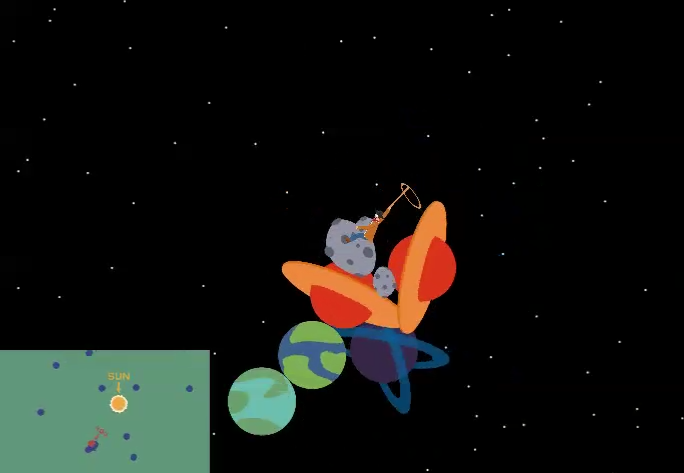 Galactic Planet Wrangler was made for Ludum Dare 30 Jam and scored 294th out of 1045 entries. 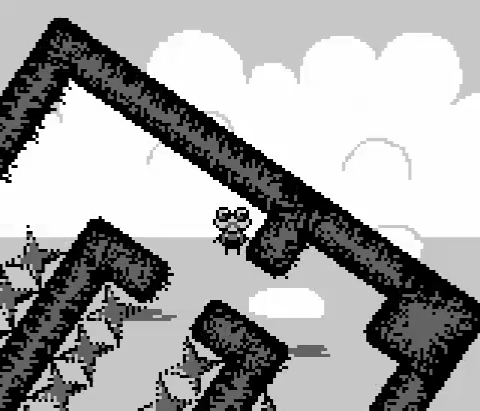 Dizzy's World is a puzzle platformer where you guide Dizzy through dangerous worlds to his home. Dizzy is pretty old so he can't jump like his famous platforming counterparts, but he does have vertigo and the world seems to shift around him. Use his nauseating power to bring him home! 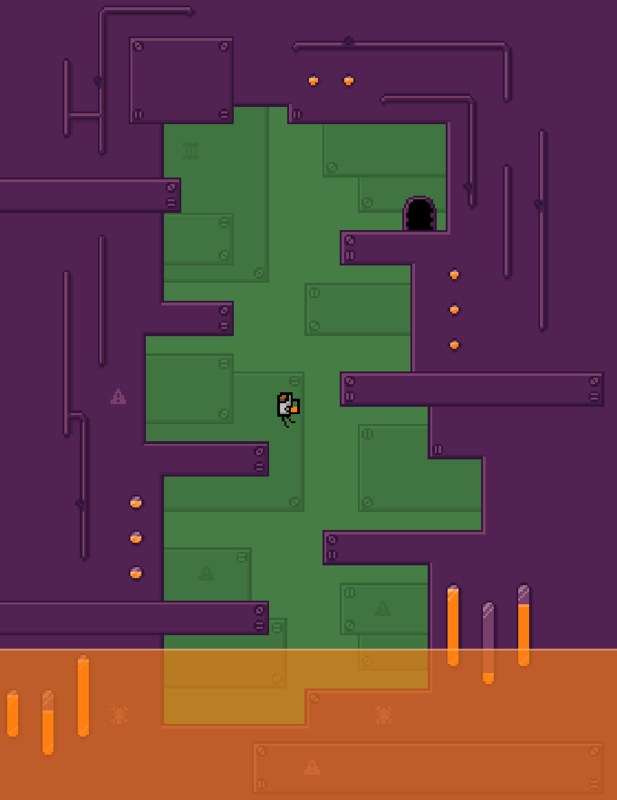 In each level you collect a key and get to a door to make it out. There are ten levels to guide Dizzy through before he can make it home. You can rotate the world in order to make it to hard to reach places. 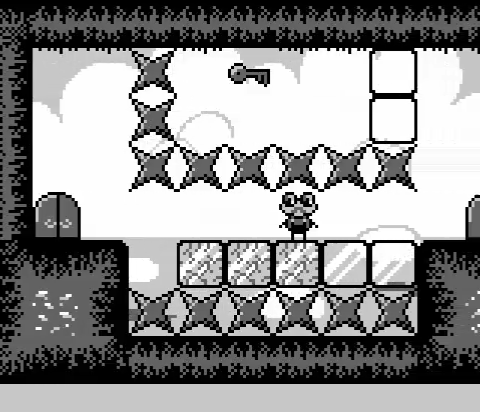 Dizzy's World was made for GBJam3 and received 84th out of 248 submissions. Holy Split! is a game about a robot astronaut with a color based plasma rifle. 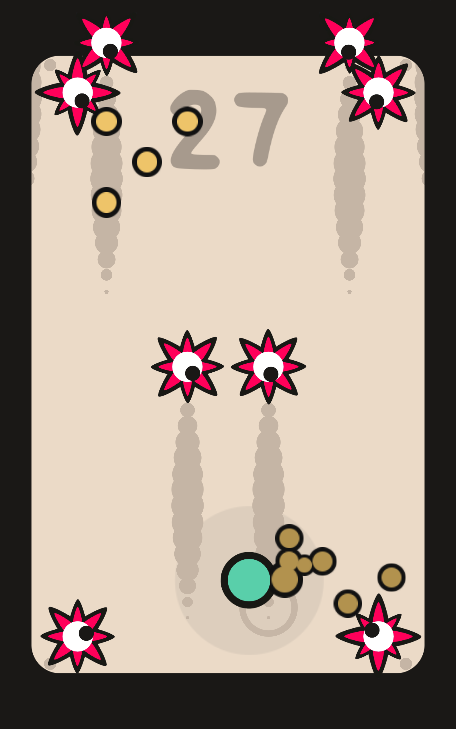 Colored alien blobs are attacking you and you must shoot them with their own color to kill them. You only have red, blue, and yellow to shoot with. Shooting blobs of the secondary colors green, orange, and purple with one of the primary colors that go into them will split them into two primary aliens. Hitting any alien with a color not used to make it will cause it to split in two. Each color alien has a different AI that will try to trick you. Oh and they multiply over time if you leave them alone so watch out! This game was made for Wolverine Soft's 48 hour game competition and won 3rd place out of 20 entries. The theme was "separate". Wolverine Soft is University of Michigan's game development club. 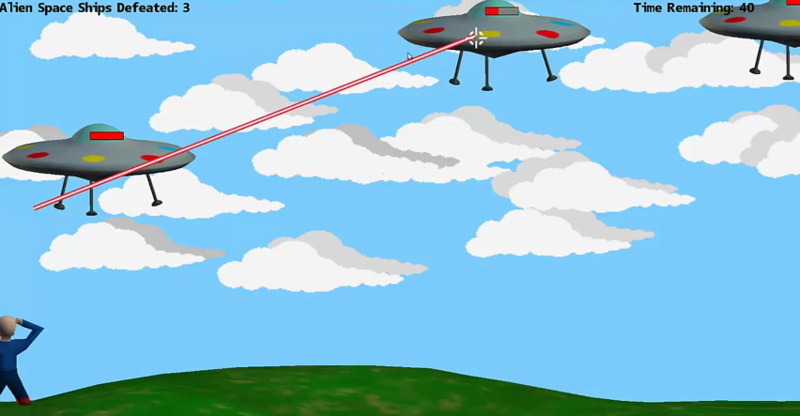 Lazer Eyez was made as a school project using the Microsoft Kinect to help children with Autism. Some autistic people have trouble maintaining eye contact and the game tracked head and eye movement as the main input to help alleviate that. In the game you are a super hero saving the world from alien invaders. You use your laser vision to shoot down their ships and stop them from destroying cities. While the game may not have helped like we initially wanted, it was a great experience to try to alleviate some effects of Autism. Blast Lords was my first ambitious project that played like a platformer version of Bomberman. It was four player local multiplayer with controller support. 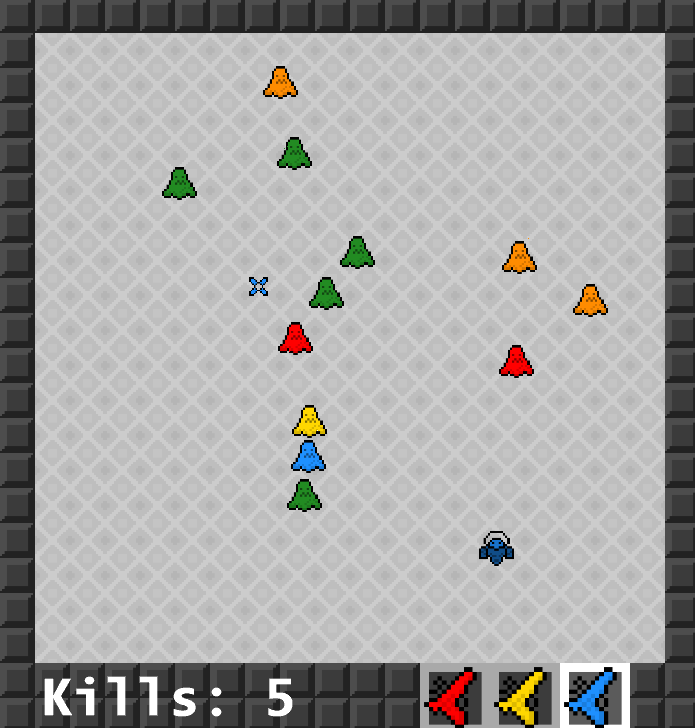 Each player had a set amount of lives and would spawn on a stage with each other. There were all sorts of items that could spawn randomly in the level. Items that changed the player's number of bombs, firepower, speed, health both positive and negative could all be found. 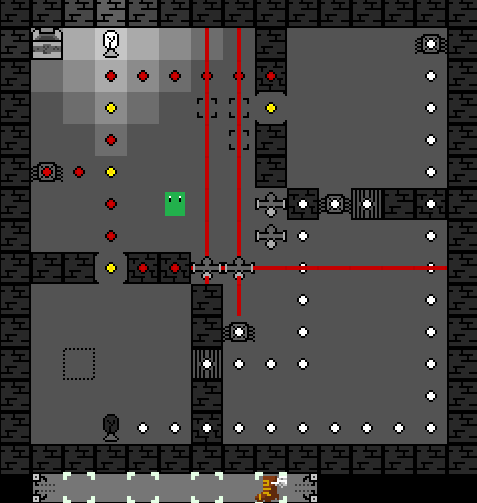 The game featured a level editor and four tilesets to choose from when making them. There were a handful of levels included. Unfortunately this game was never completed. I started it during a summer in college and when classes came back it got harder and harder to get back into it. I use a lot of the assets and ideas from this game for starting points in other games so it was a great experience in the end! Fired! 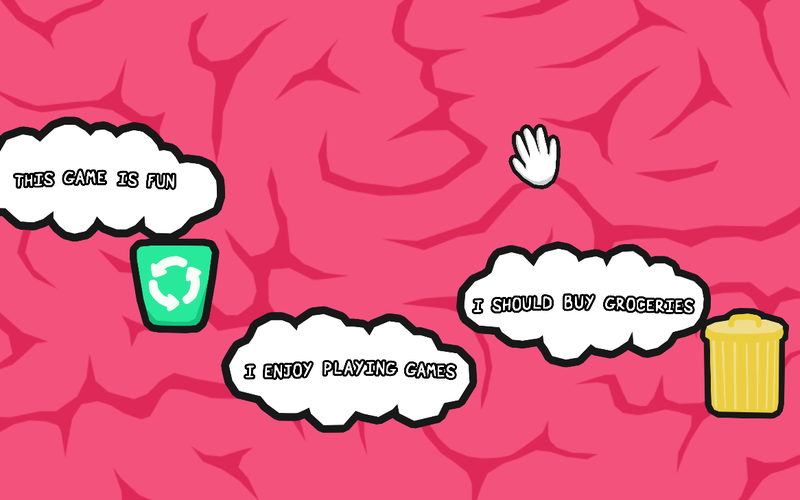 is a game about sticking it to the man. You are a disgruntled worker and you have been fired from your job. You can choose to accept it and leave or fight your way back up through the company to show your old boss what you really think of him! This game was made for Wolverine Soft's 48 hour game competition. The theme was "The End". Wolverine Soft is University of Michigan's game development club. 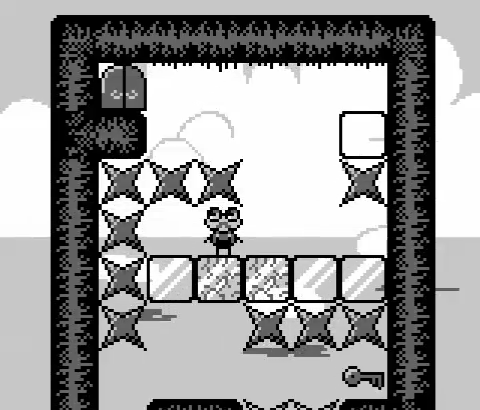 Make your way through this puzzle game collecting the gem on each level and avoiding all the traps. There are four items that can be found in each level that will help you on your way. There are also power generators in each level that activate lights and lasers. 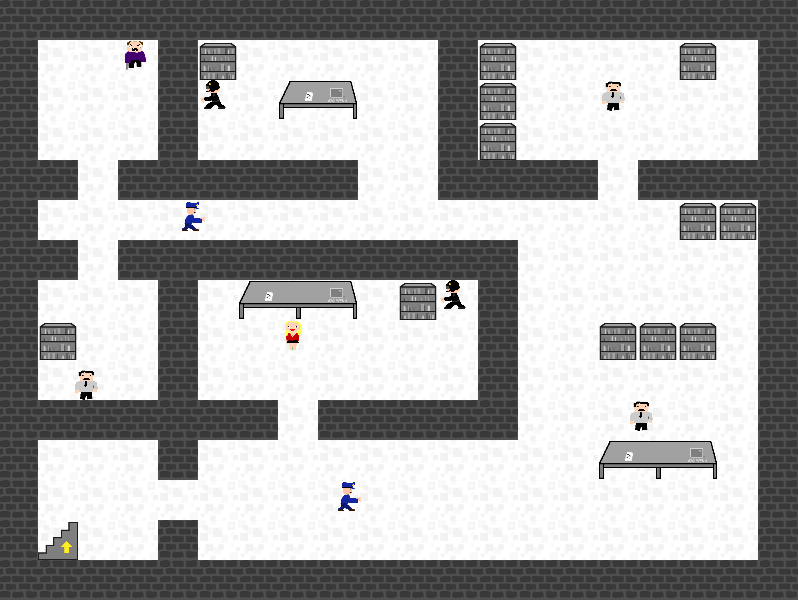 Sneak Thief comes with 50 levels and a level editor so you can make and share levels with your friends. 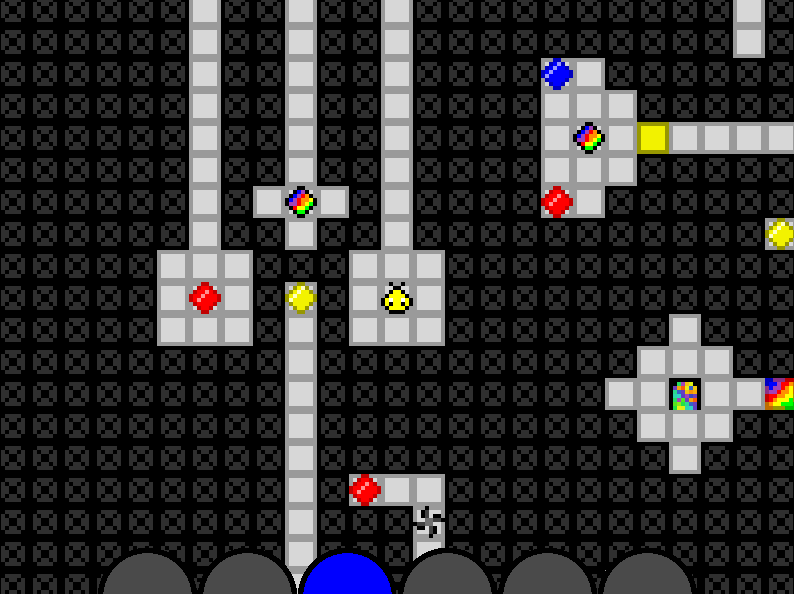 Combine colored orbs to open doors in this perilous puzzle maze. Each colored orb opens it's corresponding colored door. The rainbow orbs allow you to combine your current colors to unlock new paths. This game was made for Wolverine Soft's 48 hour game competition and won 3rd place out of 16 entries. The theme was "combine". Wolverine Soft is University of Michigan's game development club. 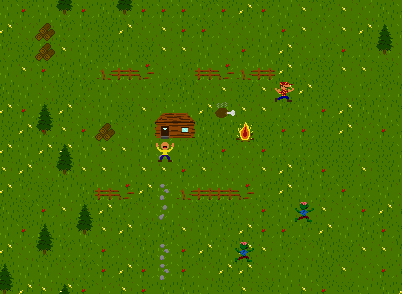 An arcade survival game about a burly lumberjack and his ax. The zombie apocalypse has finally reached the mountains where he lives and he must use his skills to survive. Zombies spawn from all corners of the screen and they can smell you. Use your trusty ax to cut down trees and lay traps using the wood. Rescue survivors along the way for bonus points! The zombies get faster over time so watch out!